Be it in sunshine or rain, in happiness or pain: always be there for your friends no matter what. Even though Shin Chan never fed Shiro on time or took it out for a walk, Shiro loves him unconditionally. That's because Shin Chan loved him unconditionally in the first place! At the age of 5, Shin Chan was a part of Kasukabe Defense Group and that made all the difference. Even if the truth is an absurd, illogical or even nonsensical; always voice it out. Never peanut-butter lie in a situation. Always be honest and unabashed like Shin Chan. It's mundane to want something ordinary. It's boring to be have easy dreams. Get out of your comfort zone and aim for something extraordinary and unachievable and only then will life be exultantly exciting chasing dreams. 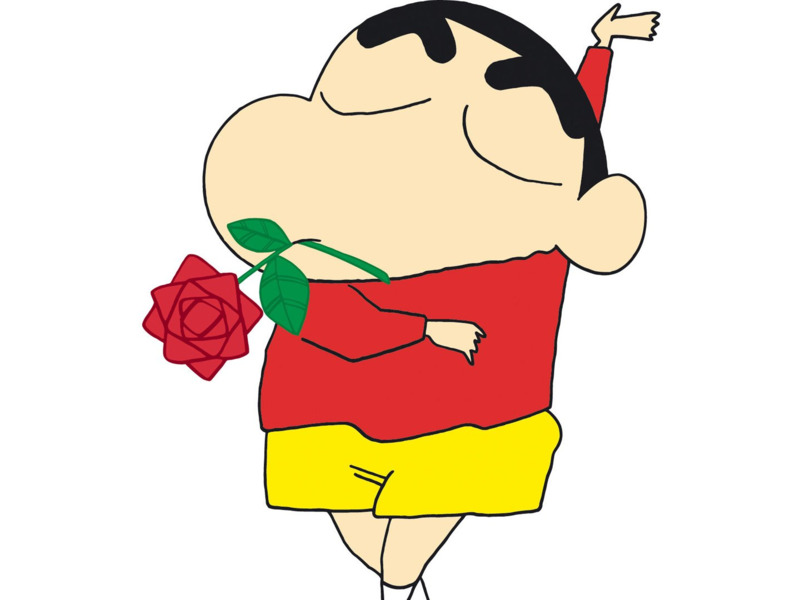 Be it people or dreams or a daily task: Shin Chan taught us to never give up. If you keep trying, someday you'll get there and achieve everything you've been working hard on! Unconditionally, unreasonablly and unconventionally: fall in love with food and never fall out of love. When time and situation demands, know that you can profusely use your puppy eyes and profoundly make everyone agree to you. You can flirt all you want with elder girls. Only one condition stands in the way, you'll have to be adorable and respectfully call them didi.